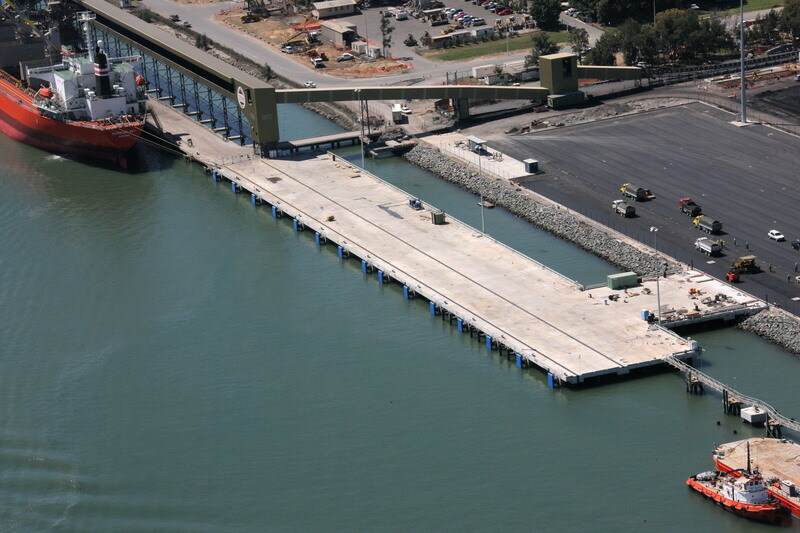 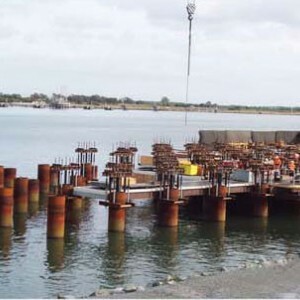 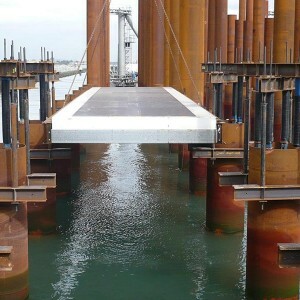 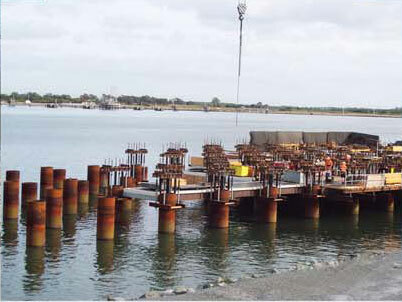 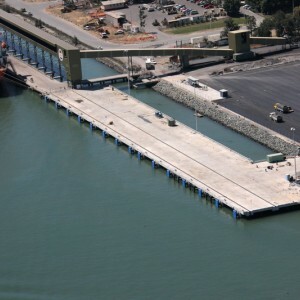 Lump sum contract for the construction of a 213m long x 30m wide wharf with a 33m wide access bridge. 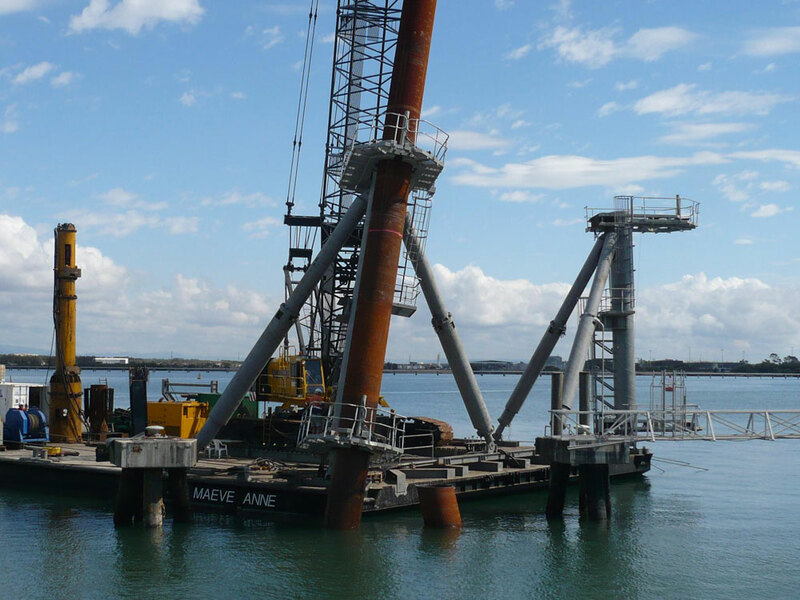 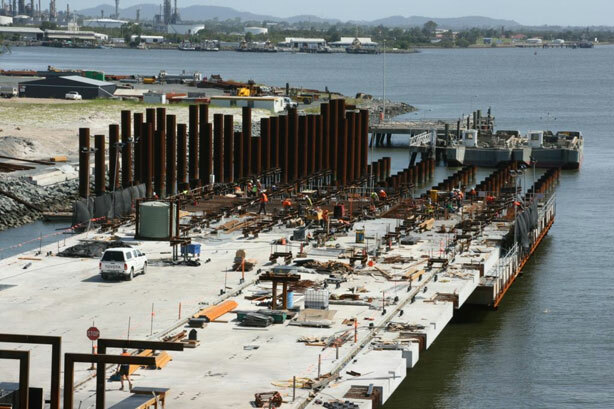 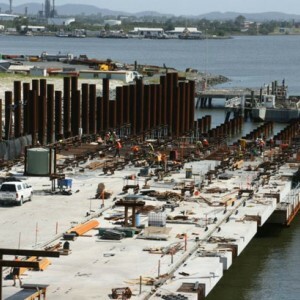 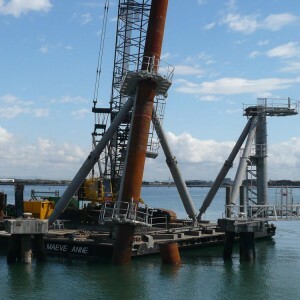 Contract included almost 300 steel pipe piles, both vertical in the wharf and raked in the dolphin structure, all driven from floating plant. 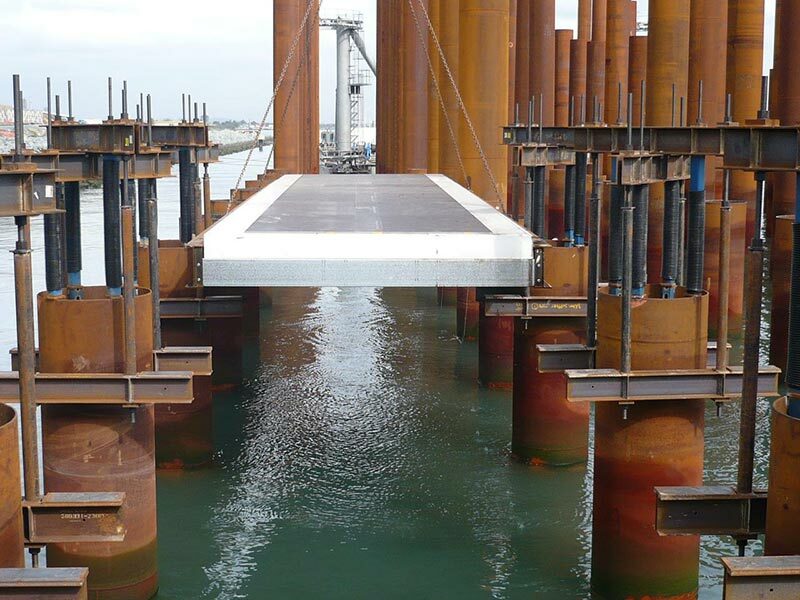 An 800mm thick reinforced concrete deck was cast insitu, using a formwork system featuring ftoating panels to aid the removal process.